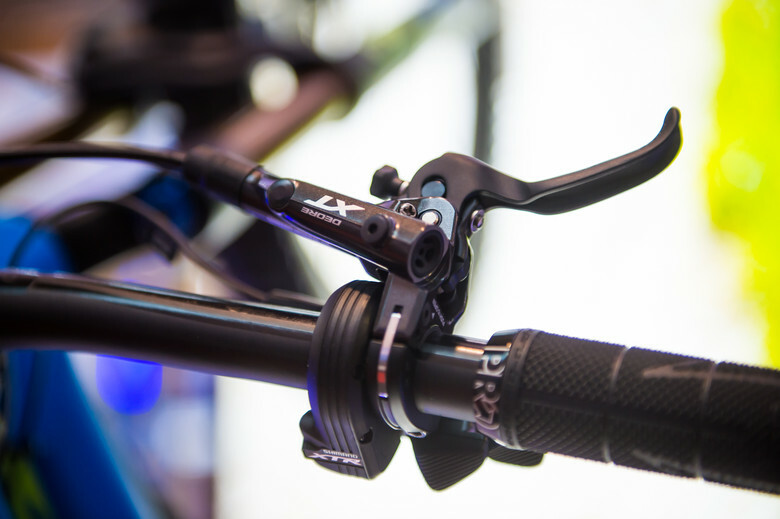 Shimano had a sample version of their new XT four-piston brake to check out at Eurobike. 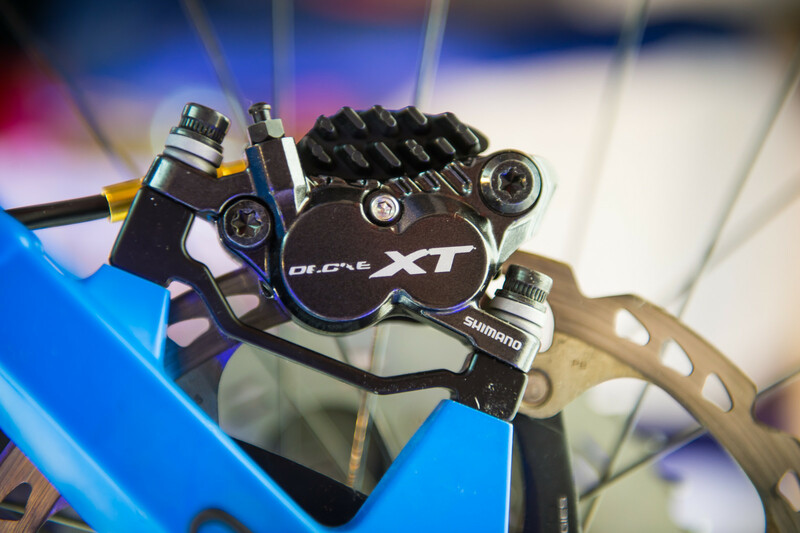 Our first real-life look at the new Shimano XT four-pistion brake caliper recently introduced to the world. There was this single sample on display with ICE Tech brake pads, which shows just how new they are. 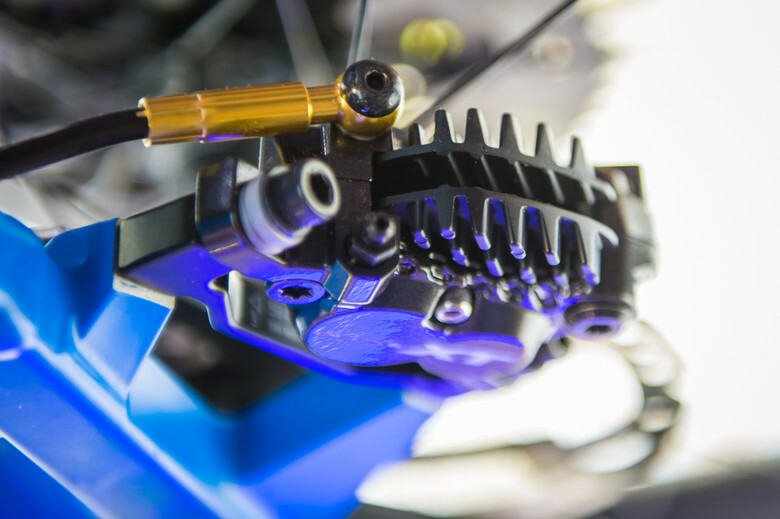 The new caliper is based around the Zee and Saint 4-pot designs with some subtle tweaks like piston size to bring it in line with the XT family. Power-wise, it’s on par with zee but it’s likely to get fitted more frequently as part of OE spec, especially on e-bikes where trail / enduro brakes with extra power are appreciated. 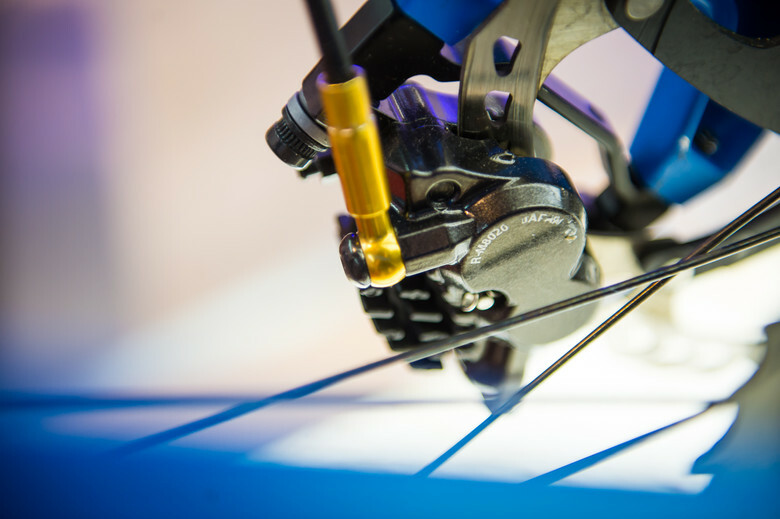 They do not replace the existing Shimano XT two-piston brake, they’re just another option. Hit up bike.shimano.com to keep your eye out. The spherical washers are to go under the caliper so if the frame mounts are not planar to the axle it can still align properly to the rotor.